I don’t know about you, but next to my birthday, Father’s Day is my favorite day of the year. I’m a daddy’s girl all the way and I definitely get my love of travel from him. If you’ve got a dad that loves to explore the globe, make sure your favorite guy is prepared for his next jetset adventure with these luxe Father’s Day gifts sure to be as awesome as he is. When it comes to luxury travel lifestyle brands there is no doubt that Tumi leads the pack. Not only are their products made with quality, but they are functional and stylish too. One of my favorite collections is the Voyageur, which comes full of stylish travel friendly bags like this Calais Backpack. It has a laptop pocket big enough to fit a 15″ Macbook, interior organizer pockets for electronics and personal accessories, and it’s lightweight. Perfect for dads on the go who love to carry lots of gadgets. My dad loves sneakers…the bougie kind of course. 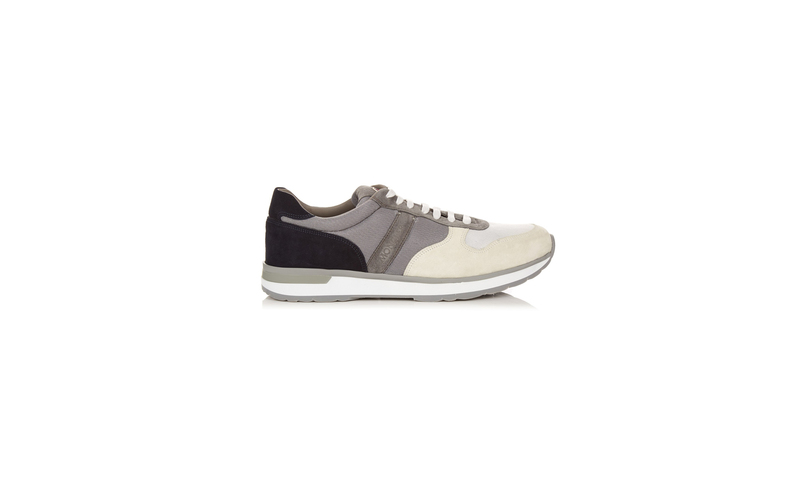 You won’t find him in Jordans or Air Max when he’s on the road, but these suede sneakers from Moncler are right up his alley. If your dad wants to be comfortable, yet stylish on his travels, these sneakers are perfect for a long day of exploring. Awesome dads weren’t created to blend in, so make sure they standout as #1 with a custom pair of swim trunks from Orlebar Brown. The cult-favorite British brand s known for its bold photographic print designs, and now with their new Design Your Own service, you can memorialize special moments with dad by putting your own photographs on their swim shorts. Women aren’t the only ones who want to step off a long flight looking and smelling their best. Jetset dads want to make a good impression on their travels too! This travel size version of Chanel’s Bleu de Chanel fragrance is perfect for dads on-the-go. It’s also perfect for dads that are #teamcarryon and need TSA friendly smell goods. Nothing ruins a flight faster than noisy passengers, chatty seatmates or screaming babies, especially on a long haul. With these noise cancelling headphones from Bose dads can totally zone out and groove to their favorite tunes all the way to their new favorite destinations. Time flies by fast, especially when you’re on vacation. So help dad live in the moment by giving him his own personal photographer to capture all the memories. With Flytographer dad can leave his pricey DSLR at home, relax and let a local photographer capture his travel fly. Maybe he’ll let you get in some of the pictures too lol. What’s the perfect gift for a traveling dad? Travel of course! Use your travel magic to plan a trip that will show him the vibrant streets of Colombia, the majesty of Kenya or the soothing waters of the Maldives. If you’re not the best at planning adventures, simply reach out to luxury travel agents like Valerie Wilson Travel for help in giving dad the trip of a lifetime.